Pre-order - Available to ship on May 15, 2019 - You can choose a ship date! Each order receives printable PDF downloads (sent via email) to print as needed for your campus. Includes a Reusable Items Pack. These are items that are used in multiple weeks. Please return these items to the reusable items bag when finished for the week. What to buy for your campus? 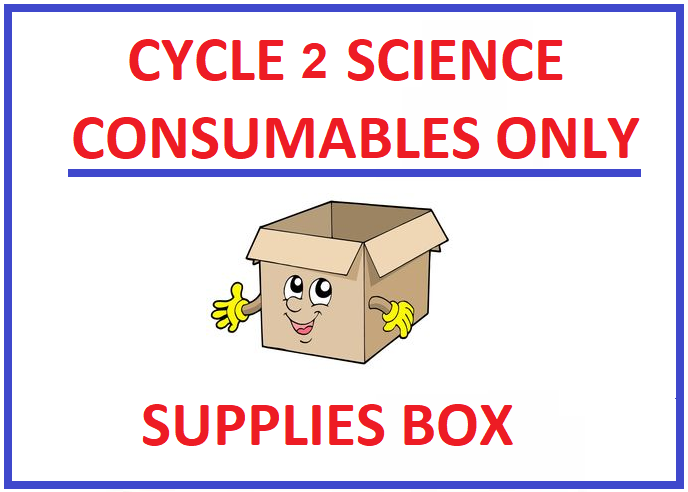 You will need one Complete Science Supplies Box for the main room. Each additional rotating class will need a Consumable Refills Box. You will need 1 Complete Box for each classroom. * If you only need 1 Outside Proportional Solar System, order the additional Complete Class Boxes without Week 8. 2. There isn't an additional student pack option, since there are only a few things you would need. Click below to purchase these items as needed. Note: We included extra sunprint paper, screw, and washer so those won't be needed.